For those of you that don’t know, I teach one section of Lit/Comp along with Science. Growing up, class read alouds were one of my favorite things we used to do! I remember my teachers reading Charlotte’s Web, Hoot, The Lottery Rose, and many more! Read alouds are thought to be primarily for elementary aged students, but I have found great success in read-alouds in middle school! My district and librarian do a wonderful job at getting authors to come and visit our schools. Last year we had Roland Smith come to our school and this year Margaret Peterson Haddix is coming! They set it up so that the authors visit all the junior highs in our district (4). This makes it worth their time by seeing a large number of students in a just two days. With authors coming to visit each year, the Lit/Comp teachers are encouraged to have a class read aloud to expose the students to their texts before they come and visit. I started my read alouds last year to prepare for our Roland Smith visit. After we finished Zach’s Lie, the students begged me to read the next book. Ever since then, I have had a read aloud in my classroom! Read alouds are not only great at exposing our students to texts that they normally would not read, but they also make great mentor texts. I cannot count the times that I have referred back to our class read alouds when learning a new reading strategy or topic. From plot to character change, read alouds enhance the learning of our students through a common text! Below are the texts that I have used as read alouds, along with a brief description! This book speaks for itself! The hype is real and every student needs to read it! I have used this in Lit Circles and as a read aloud. I like it best as a read aloud because there are so many great topics that can be discussed as a class! This is about a young boy named Auggie who has a facial deformity. He has been homeschooled his entire life and is going to school for the first time as a fifth grader. This is a great book to read at the beginning of school, as well as the beginning of middle school! 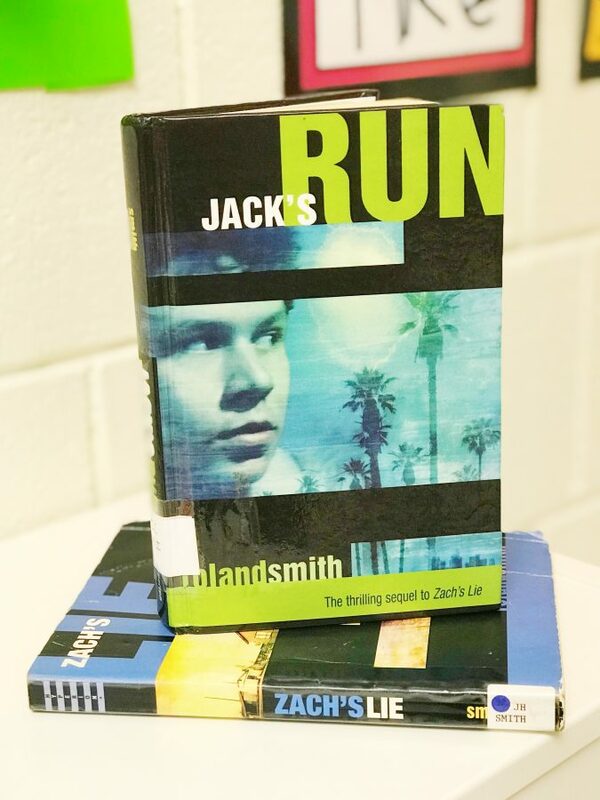 We read this book last year in preparation for Roland Smith’s visit. This book is a great example of how read alouds expose students to texts they normally wouldn’t pick up, including myself! This is a story about a boy named Zach. His life changed dramatically one day when his family found out his father was involved in a trafficking deal. His family was then entered into the Witness Protection Program and suddenly Zach became Jack. He had an entirely new identity and was moved to the middle of nowhere. This is a great book with a sequel that the students begged to read next! This book was new to me this year & was our first read aloud of the year! This book was actually recommended to me by my mom! (Thanks, mom!) This is a story of Zach, an eighth grader, who has lived with his grandma on a commune his entire life. He has no access to everyday teen items such as television or cell phones and he has never been to school. Zach’s grandma had an accident and he has to live with a family friend while she recovers. While doing this, Zach also has to go to school for the first time. This book is absolutely HILARIOUS and the kids relate to it so much. This is a great book to read at the beginning of the year! It is a quick read! This is another book that I normally wouldn’t have picked for a class read aloud. 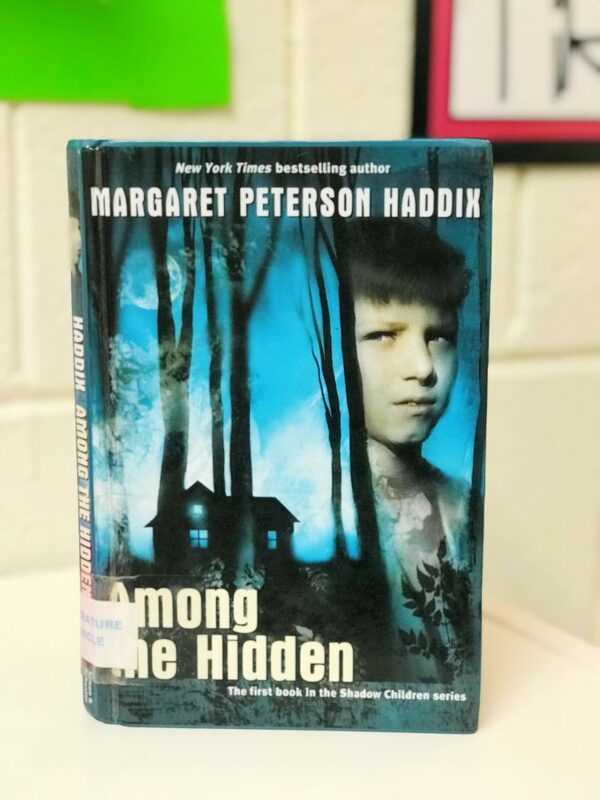 Margaret Peterson Haddix is coming to our school in April, so in preparation, we read this book! This is about a society where third children are illegal. Luke is a third child and has never been outside his home in fear that the Population Police would catch him. One day, he sees a face in a home across the street and realized there might be other third children in hiding. This is a series! When we finished reading this book, I had students on the waitlist for the second! Read alouds create a passion for reading in my classroom! I am currently reading this book to my class. This book was recommended by all of you on Instagram when I asked what book my class should read next! We are about thirty pages in and we love it! Ally is a middle schooler who has hidden her inability to read from her teachers and parents by acting out at school. She is constantly getting into trouble with her teachers. Ally’s teacher has a baby so there is a new teacher, Mr. Daniels. Mr. Daniels is different than any other teacher she has had. He cares. 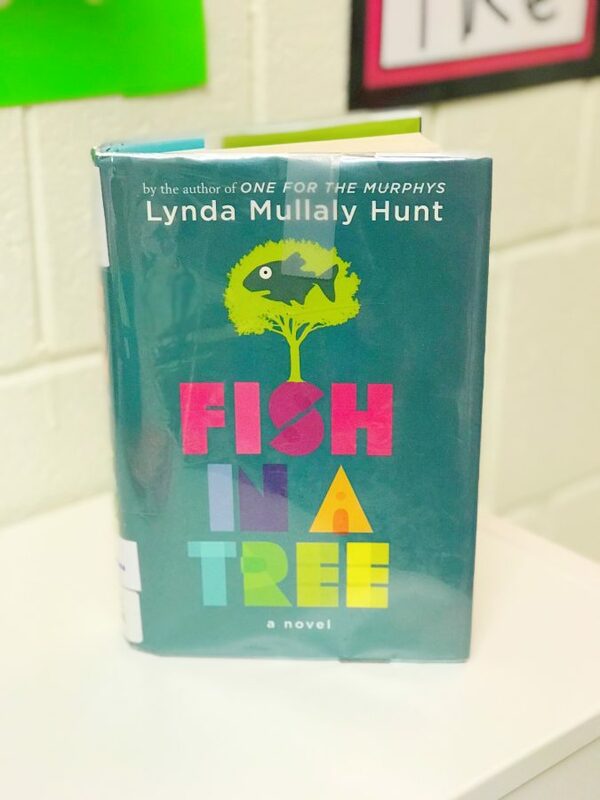 The students are loving this book because they can relate to all of the middle school drama and happenings! Does every student have a copy of the book? NO! I am the only one that has a copy of the text. I am reading the book aloud to my students and they are listening. Limit yourself! If you have to, set a timer or have a student watch the clock for you! I only read for FIVE minutes a day. Some days if I know that our lesson is jam packed, I don’t read that day (and the students get VERY upset). They constantly beg me to keep reading. Thankfully, my co-teacher keeps me on track! If she is the one reading for the day, then I have to remind her that we can’t keep reading & we need to get to our lesson! We definitely keep each other accountable because sometimes we could keep reading the entire hour! 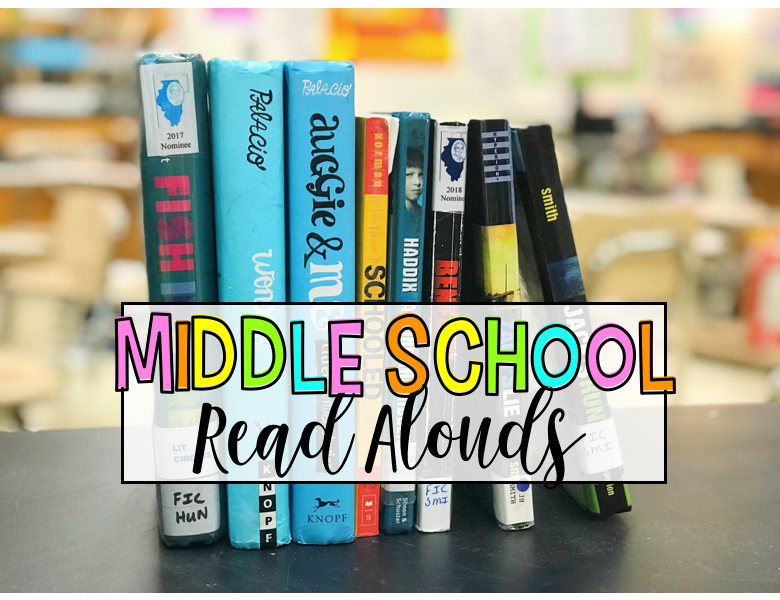 Do you do class read alouds in middle school? What are your favorite read alouds? 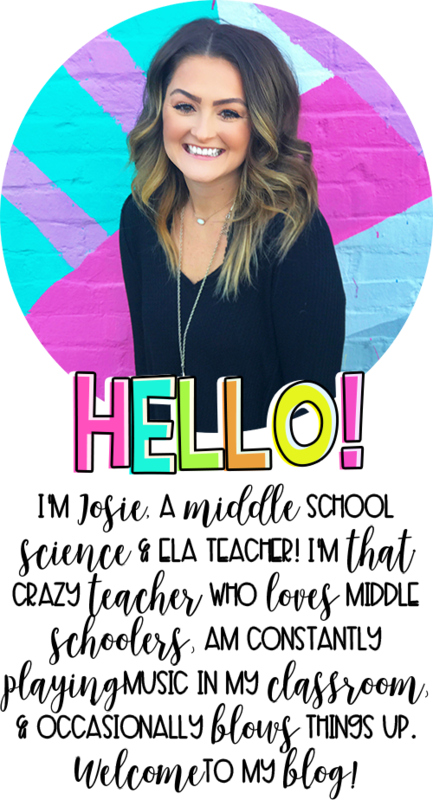 Check out this post on Instagram for recommendations from other teachers! Subscribe to this blog and receive new posts sent directly to your inbox. What do your read alouds look like? Do you read the book daily or weekly? Are reading the book or is it something on audible or youtube? I completely agree that read alouds are meaningful beyond elementary school! My school values read aloud, and every class has 20 dedicated minutes for read aloud daily. Some teachers have it attached to their reading block, but ours stands on its own. 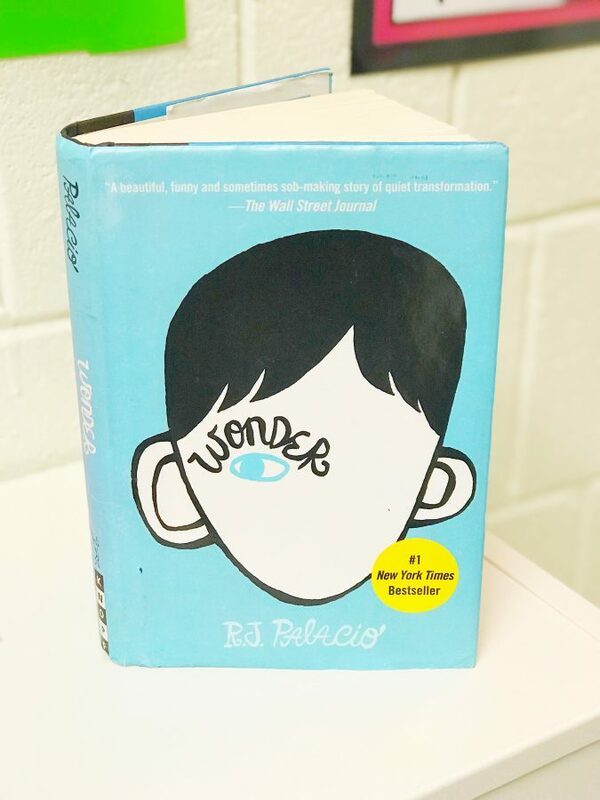 Wonder has been our beginning of the year read aloud for many years, but I’m looking for a replacement because the 5th grade teachers have not been able to keep it out of their kids hands. We also read Call Me Hope, Powerless, A World Without Fish, Stuck I’m Neutral, and a book from the author we have visit each year. This year it’s The First Rule Of Punk by Celia C. Perez. Thanks for some suggestions! I added some new titles to my amazon wishlist, ha! 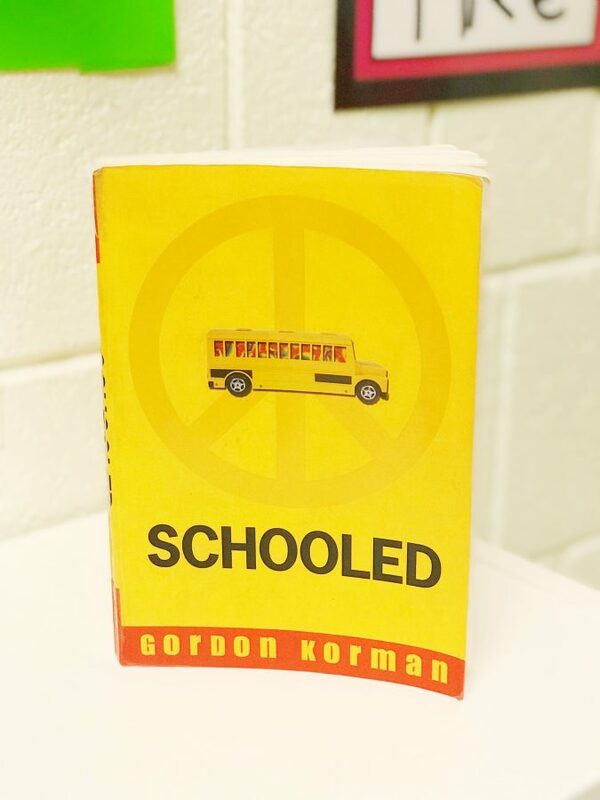 Speaking of Gordon Korman, we are reading Restart right now and my kids and I are both loving it! It was given to us from Parent’s Club during our Book Fair and the kids voted on it out of about 5 book choices so we are all reading it for the first time together!